We were tired after having emotionally and physically active day in Paris Disneyland Park and decided to relax and spend day enjoying amazing works of the French sculptor Auguste Rodin in Musée Rodin and the largest collection of impressionist and post-impressionist masterpieces in the world in Musée d'Orsay. 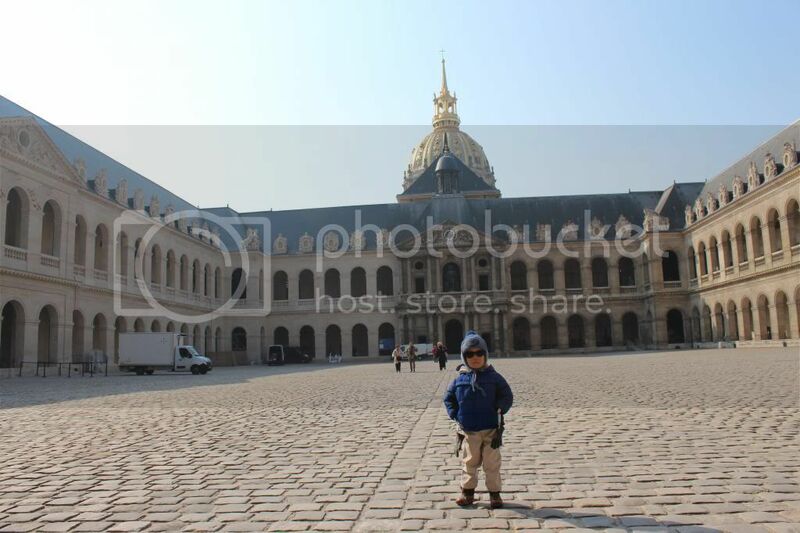 Our day 6 we decided to start with Les Invalides - a complex of buildings containing museums and monuments, all relating to the military history of France. Our hotel was just 10 minutes walk from the complex and we got there very fast. 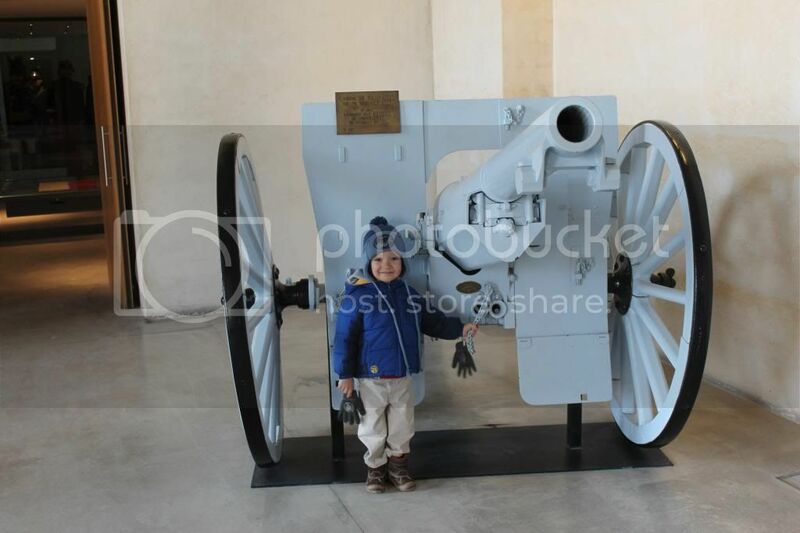 Teddy was impressed by large part of the artillery collections, gathered during the French Revolution and located in the Main Courtyard is the center of the Hôtel National des Invalides. He climbed on every cannon and asked how they work. 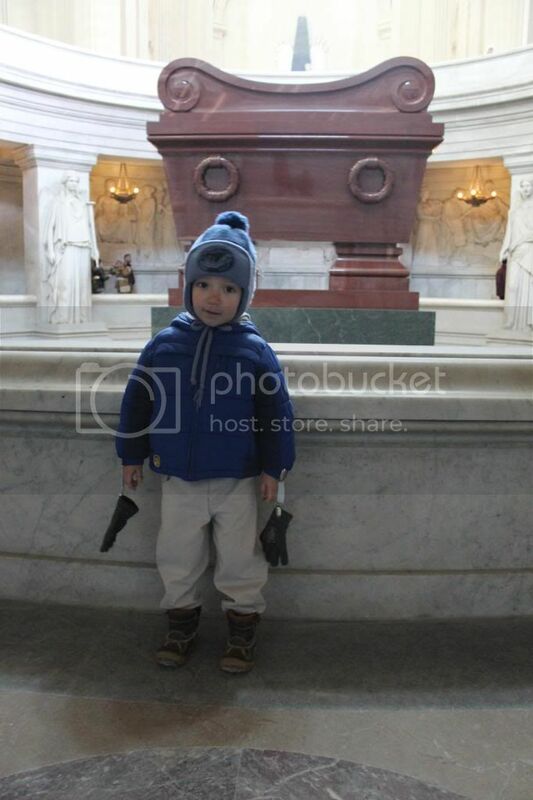 We checked Napoleon Bonaparte tomb and Musée de l'Armée that tells the story of the French Army from 1871 to 1945. Of course, Teddy’s attention there was mainly on howitzers and mortars. 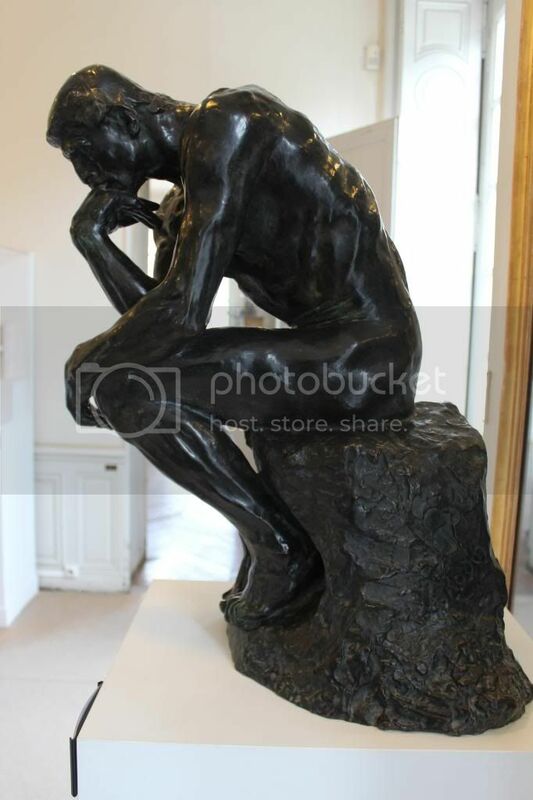 Musée Rodin is located conveniently across the street of Les Invalides complex and contains most of Rodin's significant creations, including The Thinker, The Kiss and The Gates of Hell. The gardens around the museum building contain many of the famous sculptures in natural settings. 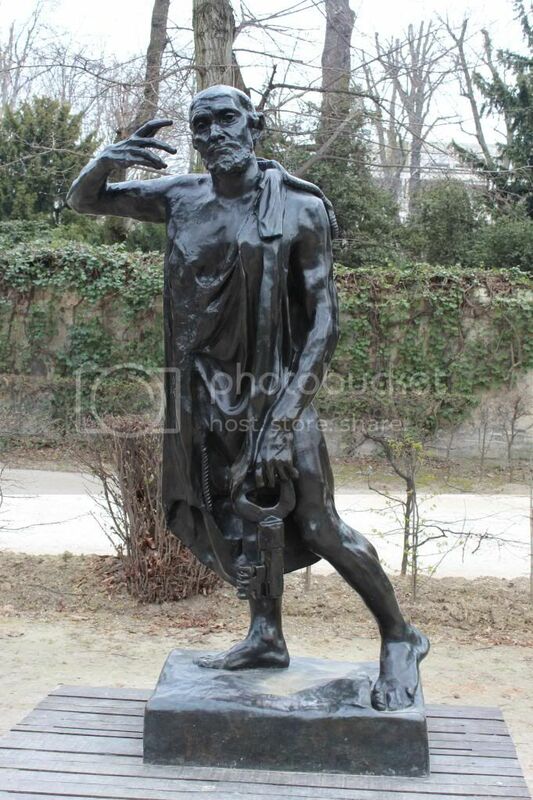 It was chilly and sunny day and we just relaxed and enjoyed sculptures and garden. Then we visited museum and saw all Roden’s original sculptures. 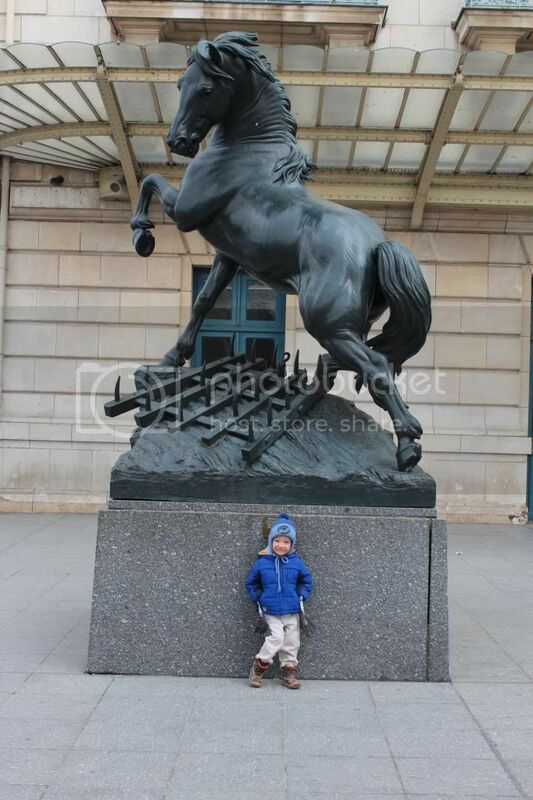 Our last stop was Musée d'Orsay that is only 20 minutes walk from Musée Rodin. 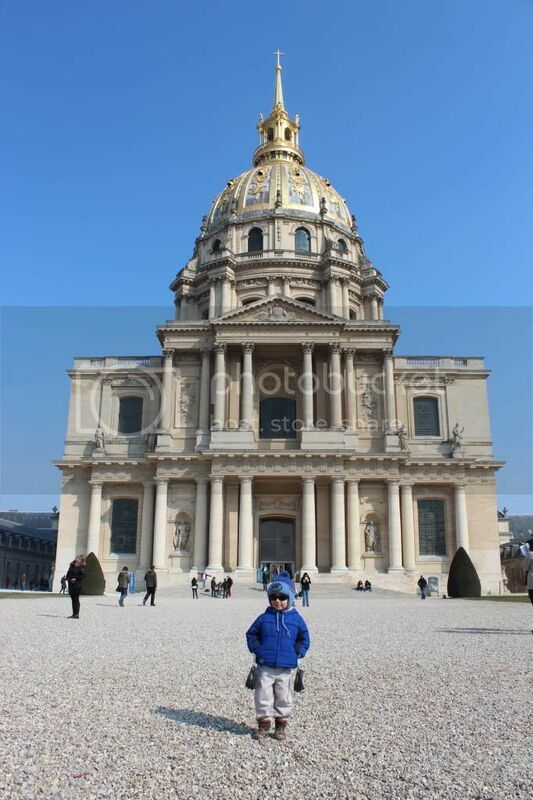 Teddy fell asleep and we had some time to check architecture and beauty of Paris’ downtown buildings and streets. We headed directly to 5th floor to see so anticipated collections of masterpieces by painters such as Monet, Manet, Degas, Renoir, Cézanne, Sisley and Van Gogh. Teddy liked paintings with animals and nature. All paintings in Musée d'Orsay have a positive theme and emitted so much energy that after visit we felt like we were in church. That was one of these fabulous days in Paris, why, because everything tuned to be better than expected, starting from nice weather, people on the streets, amazing art, paintings and sculptures to absolutely not crowded tourist spots during the whole day. Our next day was planned for The Louvre— one of the world's largest museums, and a historic monument.